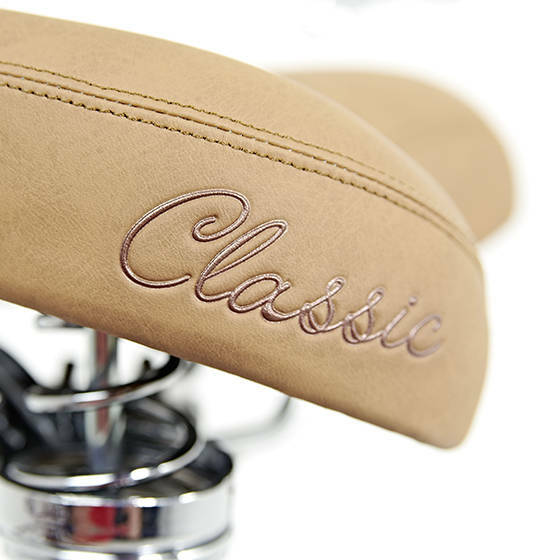 The City Classic Glider is the favourite of fashion-conscious young women and those who are young at heart. 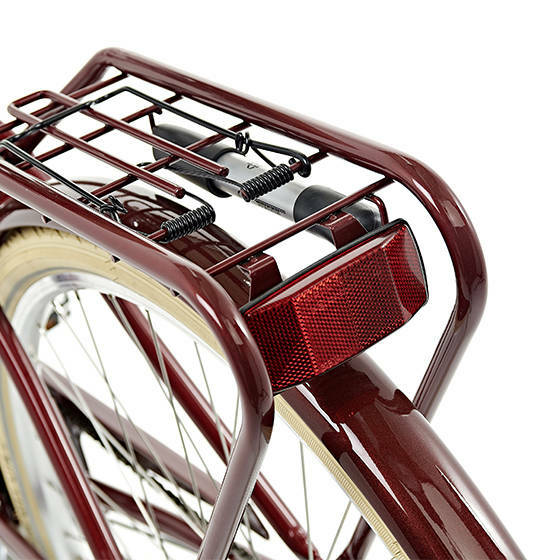 Even in the city, where riders have to hop on and off their bike relatively frequently, the lowered upper tube, bent downward, ensures easy mounting and dismounting. More sofa than saddle: broad seat with chrome-plated spring support. 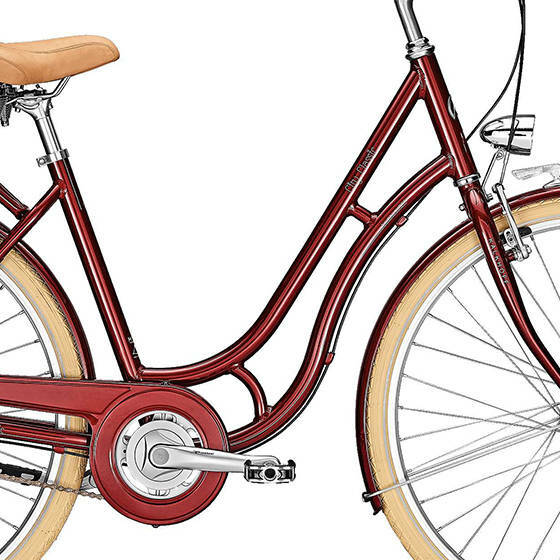 An extravagant look: mudguards, chain guard and pannier rack are painted to match frame colour. The swan neck frame is a true evergreen design, finished in a contemporary aluminium look.